My name is Theresia Wambaliau. I am doing a Masters degree in International Development at University of Canberra, Australia. 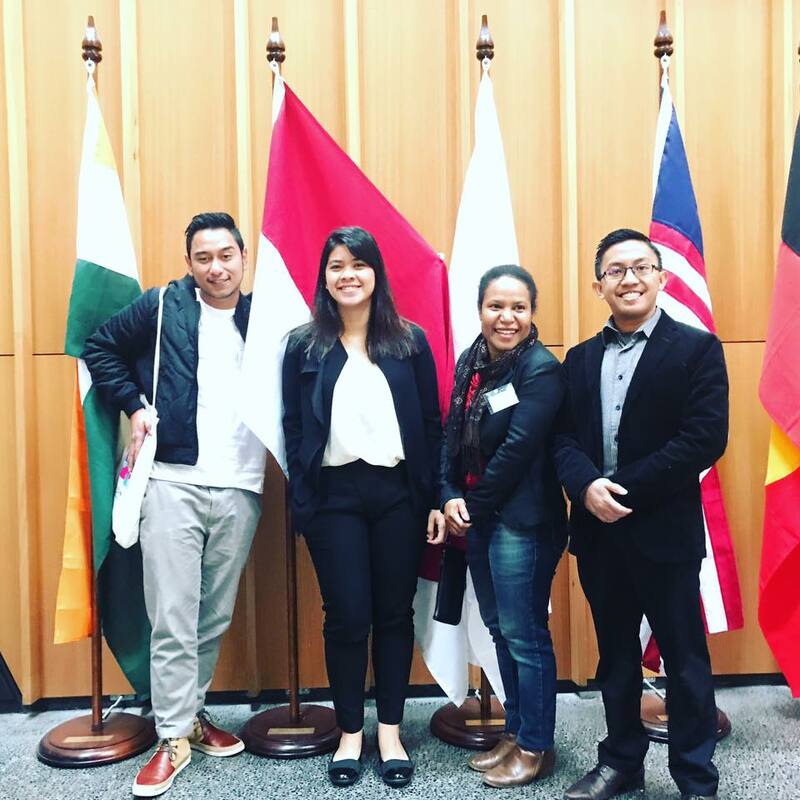 I would like to share my story about joining the Asia Pacific Week 2017 at the Australian National University (ANU) Canberra. As a representative of Papua and MITRA Papua and Eastern Indonesia, it was such a privilege for me to join this prestigious event. 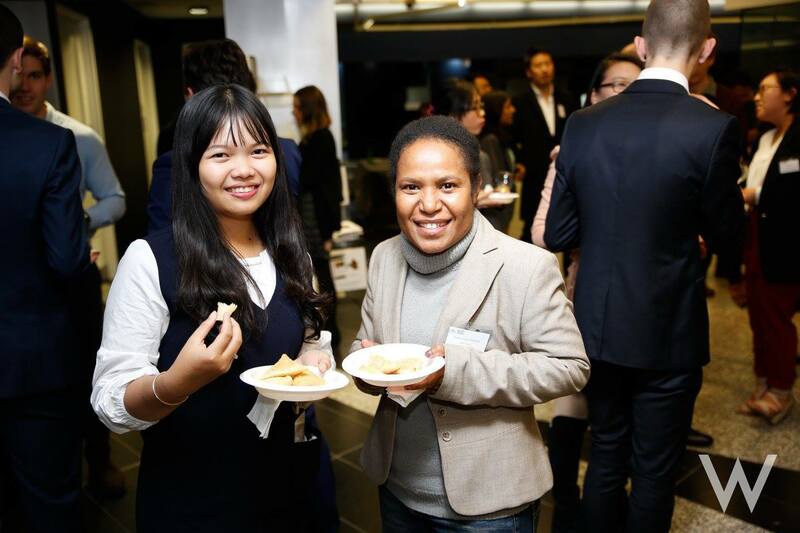 The theme for APW this year was “A Changing Landscape” that focuses on the challenges faced by Asia Pacific Countries and the solutions for the sustainable development of the region. This event was held from 25th June to 30th June. Moreover, the delegates who participated in this conference reached approximately 80 people. The delegates who joined this program came from some countries in Asia and Pacific, America, and Europe. Some delegates were students and lecturers from The United States. Others were from Europe (Britain and Switzerland); some delegates were students and lecturer who come from some countries in Asia and Pacific: Cambodia, Philippine, Nepal, Pakistan, China, New Zealand. Most of the delegates were students who studied in the various universities of Australia such as the ANU, University of Canberra, University of Wollongong, University of Melbourne, JCU Brisbane, Queensland University and others. In this conference, there were panel sessions from day one until day four. There was also a special simulation war game and a special session for delegates to present a three-minute thesis in a competition. There was also a great debate and a networking Soiree. The topic in this conference was interesting since it related to the Asia and Pacific and the diverse social and political conditions in these countries. The issue of day one was Trump’s Presidency and the Asia Pacific Region. In day two, we had some topics including Cultural Politics in India, Perceptions of Australia: Its Place in the Region. On Wednesday, we got to gain insights from the Ambassadors Panel; Queer Cultures in the Asia Pacific; Lost in Translation. On Thursday the topic was about Leaders in Asia: Power and Populism; The Sustainable Development Goals: A call to Action. The final theme was ‘Surviving the 21st Century: Sustainability in the Asia Pacific’. The key speakers at this event were some experts from ANU, the United Nations Association of Australia, High Commissioners and Acting High Commissioner of public of Fiji, Bangladesh, Papuan New Guinea and ranges of experts from other organisations in Asia and the Pacific. Along with the speakers, these people brought the conference to life. The delegates also came from a range of backgrounds. I was fortunate to meet 80 talented students with different backgrounds and excellent achievements in their study and also their career. It was an incredible moment for me to join this program. Through this event, I gained more knowledge and perspectives about the Asia Pacific. I also made friends with delegates from around the world, created a new network and shared experiences. I would like to express my great thanks to my lecturer Dr. Judy Hemming who supported me with her reference letter and included some other selection requirements that helped me passed through selection to become one of students in the MITRA delegation to APW 2017. My huge thank you also to Nick Metherall: a person who introduced me the APW program also supported and encouraged me to join the Asia Pacific Week 2017 as a representative of Papua and MITRA. Finally, I encourage others do not be afraid, do your best if there is an opportunity come to you because once when you join the conference or event like this, it will change your mind to become more global in knowledge and experience for your future.